LiveView is the new cool thing in the Phoenix world. I will not try to say what it does and how it works. There are already many articles and tutorials doing it. I will skip also the installation part, which is covered by the docs. So let’s start directly with our question. How other application processes can communicate and update the LiveViews? This time I’ve chosen a real example, a personal project I’ve been working on. It’s a basic Phoenix app, with server rendered templates (EEX) and very little JS. The challenge is simple. 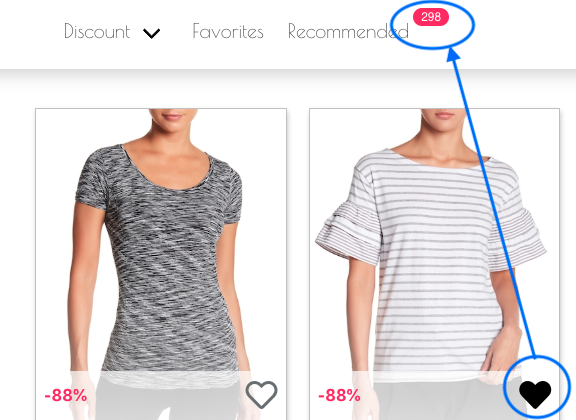 Update the number of recommendations after the user chooses a favorite product. Of course, this can be achieved in other ways, for example with “normal” Phoenix channels. But such a small task would be perfect to get myself introduced to the LiveView. Before we start. When I say synchronous I do not mean the handle_event/3 callback of the LiveView (which is not anyway). But rather the logic that happens inside this function, before the user can see the update view. Let’s explore first what I consider to be the easiest approach. Then we will see why I didn’t choose this one. On mount, the LiveView retrieves the user, products and current recommendation count and adds them to the socket assigns. The user clicks the favorite icon 🖤. This sends an add_favorite event to the LiveView. The event handler updates the user recommendations based on their new favorite products. Then gets the new number of recommended products and puts it in the socket assigns. This triggers an update of the LiveView and voilà! The recommended products count is live updated. If we do so, the response to the first point will be delayed. The user may be tempted to click 🖤 again, triggering a remove from favorite. Of course, there are other ways to avoid this, but that’s not our concern right now. We want to separate the 1 and 2 points above. It proves just a matter of splitting the handle_event/3 function. The handle_event/3 sends a message to the LiveView process (self()). Then updates the user interface with the new favorite product. The message gets then picked up by handle_info/2, who will process and update the recommendations. While it solves the issue above, it is still not very efficient. Imagine the user adding a favorite, and immediately adding another one. For the first favorite will receive rapid feedback. But the LiveView process is blocked until the update_recommandations/1 will finish for the first request. Only then the user will receive an update for their second favorite product. That’s why I called it a “Semi-Synchronous” way 😄. In reality, the above solutions will not even work for my app. The update_recommendations/1 is already handled asynchronously. I would get back the count before the new recommendations are even computed. So we need a way for the Recommendations server to communicate back to the LiveView process when it finishes its job. That’s the easiest approach. When casting to the Recommendations server, pass the LiveView pid as argument. For example: QuickPick.Products.update_recommendations(user, [live_view_pid: self()]). After the server updates the recommendations, it should call back the LiveView like: send(live_view_pid, :update_recommendations). Straightforward, but I decided to keep looking for other ways, for one reason. It cannot handle updates that are not triggered by the user. For example, a callback from an external provider could trigger a products refresh or so. The callback will not have access to the LiveView pid, and cannot send it a message. So I will not insist on this approach. Luckily, checking the examples provided with the docs, I saw Chris McCord using Phoenix.PubSub for communicating with the LiveViews. I created a module responsible for the communication between the LiveViews and the rest of the app. It creates either a generic or a user-specific PubSub subscription. Then enables notifications for both cases. the calling_module is the module that requests the live update. Mainly for statistics and debugging purposes. But can be used later on for pattern matching as well. event is a list of atoms describing the triggering event. Used for pattern matching in the LiveView. Eg. [:recommendations, :updated]. result the data that is passed back to the LiveView. I find this a flexible solution that permits not only external processes to communicate with the LiveView. But also communication between different LiveViews, or mass updates for all users or group of users. But maybe we can explore those options in a future article. Now your turn. I would be very curious to see your opinions and what would be your choice for communicating with the LiveViews.